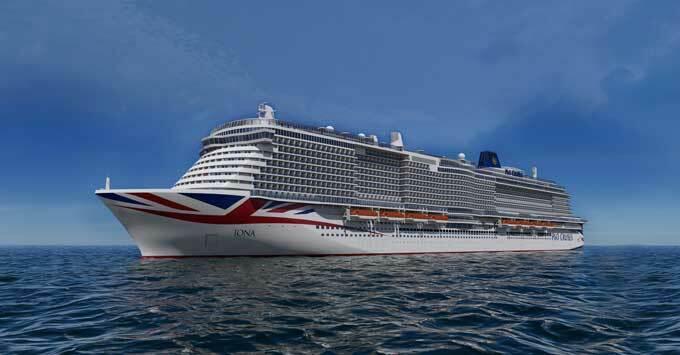 (8:30 a.m. BST) -- P&O Cruises has released details of its summer 2020 programme which includes details of Iona's summer season in the Norwegian fjords as well early booking discounts. The programme also includes new itineraries in the Mediterranean, Norway and Iceland, North America and Canada and the British Isles, as well as a selection of short breaks. Pre-registration opens today for all cruises. Iona will open for sale exclusively for P&O Cruises' Top Tier Peninsular Club members from September 10, before going on general sale from September 12. The rest of the Summer 2020 programme will go on sale to Top Tier Peninsular Club members from September 17 and on general sale from September 19. The launch of Iona's itineraries in the Norwegian fjords from May to September 2020. Summer deployment now includes repeating itineraries. A 30-night itinerary to Canada and North America on Arcadia in September 2020, which includes an overnight call in Boston as well as three full days in New York. An Iceland cruise on Aurora in summer 2020, including an overnight call in Reykjavik, as well as calls to Isafjördur and Akureyri. Discounted flat rates for supplementary adults, children and infants on all P&O Cruises summer 2020 holidays. A low deposit of 5 percent on all cruises in the summer 2020 programme. This offer is available until December 3, 2018 and is combinable with P&O Cruises Select Price or Early Saver fares. A 5 percent booking discount is applicable to new passengers making a new Select Price booking from the new summer 2020 collection before December 2, 2018. A 10 percent booking discount is applicable to past passengers making a new Select Price booking from the new summer 2020 collection before December 3, 2018. P&O Cruises senior vice president, Paul Ludlow, said: “This is the year for those who have never before considered a cruise to see the broadest range of stunning ports of call and exclusive dining experiences. The brochure also features Iona’s inaugural season in the Norwegian fjords, a destination that should only be experienced by sea to appreciate fully the spectacular landscape and activities."